Apple ditching Samsung memory chip in iPhone 5? iPhone 5 to come with no Samsung inside? Reports come from supply chain insiders suggest that Apple has reduced its orders for Samsung memory chips and that it will reduce the chips' usage in the iPhone 5. Although Samsung is on the Apple supplier list for initial runs of the new iPhone, Reuters' source says that the company is trying to wean itself off the DRAM and NAND chips for later production runs. "Samsung is still in the list of initial memory chip suppliers [for new iPhones]. But Apple orders have been trending down and Samsung is making up for the reduced order from others, notably Samsung's handset business," the Reuters source said. Update: Bloomberg sources "familiar with the matter" have also claimed that the first batch of new iPhone handsets will not sport Samsung's memory chip, with the Cupertino-based firm opting for another one of its supplies as it was unable agree a price with its Korean rival. Another source, this time speaking anonymously to the Korea Economic Daily reckons that Apple has completely dropped Samsung from the memory chip suppliers even for the first batch of iPhone 5s. But it's not down to the neverending patent battle between the two nemeses, with the source insisting that Apple was trying to widen its supplier pool anyway, no biggie. Update: Another Bloomberg source revealed that the first batch of iPhone 5s will also snub Samsung's display – LG has already started producing screens for the next iPhone - but Apple will pop the South Korean firm's processor chip inside the device. Samsung is said to be making up for the lost Apple business by upping supply to its own mobile handsets, including the Samsung Galaxy S3 which is selling great-guns. We're sure both companies will be fine. 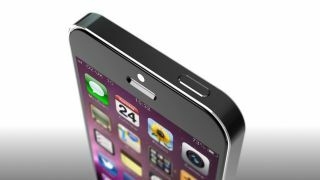 The iPhone 5 is set to be unveiled at an event on September 12, with or without the Samsung hardware.